-- I doubt there is much risk of water getting into the E-M5 even though these lenses do not have mount o-rings. A cheap 'plastic bag' solution for significant rain could be purchased or quickly made to fit. Oh, and pick up some cheap after-market lens hoods -- particularly if you want something to attach a 'rain hood' to. Trust me: there is not much danger of rain in the Galapagos, though lens hoods are very useful to shield from the always-blazing! Machu Piccu might be different though, especially if you go in very early morning to avoid the teeming crowds. There, or ff your Galapagos tour is yacht-based, you may need moisture protection from dew and spray. Hoods can effectively minimize the number of times you need to wipe of the protective filter that then becomes almost necessary. Regardless of what you get, be sure to test it out thoroughly and I would suggest that you have a 'pocketable super-zoom' as a back-up in case things go wrong. You may also consider some way of backing up shots taken each day (or more frequently) as insurance against disaster or possible theft -- a way of transferring the photos / video taken to high-capacity USB sticks may be a good solution. Having back-ups and downloading and backing every day is excellent advice. The Galapagos is the one place I actually had a CF card fail (luckily, Lexar was able to recover the images.) Actually, although we have two MacHBook pros, our years-old cheap little ($250-300) netbook computer is generally what goes along -and does yoeman service- on such trips. Easier to carry, especially with the 44lb luggage limit to the Galapagos, which is enforced (luckily a bit liberally in our case). BTW, Ecuador’s electrical current is 110 volts 60 cycles – the same as North America – so adapters for North American equipment are not needed. However, plug converters (from two to three prongs) are sometimes necessary in older buildings. Haven't been to the Galapagos, but I'll bet there's a lot of walking there too. Re: How are you travelling, and when? Your right. The 16-50mm f2.8 and the 60-250mm f4 on either the K30 or K5ii would probably be a great kit. That would run about $3k for K30 body and lenses. The only down side I see is that I'd want both wider and longer. The 11-22mm is quite a bit cheaper, it's wider, and faster and supremely weather sealed. Most importantly, I already own it. The 50-200mm is longer, faster, and cheaper--however it won't be cheaper if I keep having to repair it. The Pentax 12-24mm f4 adds another $750ish and is slower than the 11-22mm but wider. It would be fine for landscape to start at f4. The 300mm f4 for $1300 is a lens I've always wished Olympus would have made. So yeah, there are options and I wish I could afford them. I'll have to make due with the good lenses I do have. I'm lucky to own good optics. I'd have to pump in so much money to switch, that it's not in the cards for me right now. There's a very obvious choice you may have overlooked. Macchu Picchu is at a fairly high altitude, where the air is thin and the staircases are long. You really want to haul a heavy dslr rig up there when you don't have to? Galapagos has weight restrictions on traveling there. Plus, there's the general hassle of maneuvering yourself in strange lands while hauling a bulky camera bag. For general use, this would be a multifaceted debate, and I'm not entirely sure I wouldn't side with the Pentax, but given the travel and where you're going, the obvious choice is the OMD. 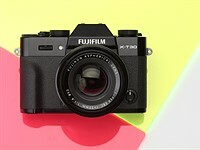 Because it delivers the same IQ as either the E5 or K5ii, at considerable less size and bulk. One can nitpick over specs that in the end won't be all that noticable. You can't nitpick over the substantial difference in size and weight. An OMD, with one multipurpose zoom like the 12-50 (soft at 50mm, but otherwise a decent lens, and it has a surprisingly good macro mode), plus a couple of small primes: 45 1.8, maybe a 17 1.8 or 12 2.0. Add the MZD 75-300 which is slow but remarkably small for the focal length, for capturing the fascinating wildlife on the Galapagos. Check out the size of a 400mm zoom for the Pentax... not small. The OMD with one GP zoom, two fast primes, and one long tele zoom, will be smaller and lighter than an E5 or K5ii with one fast zoom. It won't restrict your movements or your other activities to nearly the degree that a dslr rig will. With two batteries in the grip, it can take a lot of shots. I own both E1 and E3, plus OMD. If I were going on that trip, there'd be no debate at all. It would be the OMD, so I could capture beautiful photographs, without interfering with everything else I was doing. Why not have your cake and eat it, too? Thanks Eric, thats good advice to bring along a cheap computer to backup images. I think thes a few on the market for around $350. Re: There's a very obvious choice you may have overlooked. Does the OMD really offer equal IQ to the K5ii? My understanding is that it doesn't offer the same IQ as the K5, mark I. If your E-1 successor has to have a mirror, then I can't see a better APS-C body than the Pentax K-5(II). Just don't forget there is nothing like 12-60 and 50-200 Zuikos in Pentax world. The Pentax DA*60-250mm is fully the equal of the 50-200. Read the reviews at Photozone. Pentax needs a premium extended zoom, but there is one showing in the roadmap, hopefully out this year. I think where Pentax beats up on Olympus zooms is in the availability of more weather-resistant choices, especially in lower price ranges. Not in AF-speed, which you would know if you tried both. DXO is clear on the matter, too! In reality, the OMD 5 just matches or almost match a good DSLR, heck it might just be on par with my K-r and lets say both with good glass. Now the K5 is a different matter. Before the other and recent iterations of the Sony 16mp CMOS sensor, it is regarded as the best APSC camera as it can be. Now with the K5II with a weaker AA filter, the gap between the OMD5 should be farther and if compared to K5IIs that does not even have an AA, they do not even belong in the same zip code. If you posted this question in the Pentax forum would everyone recommend the Olympus E-5 over the K5II? It's funny how so many posts here recommend micro 4/3 lenses as a meaningful alternative to Olympus HG and SHG DSLR lenses when the OP asked about the E-5 versus the K5II. None of the m4/3 zooms match the IQ of 4/3 HG zooms like the 14-54, 11-22 or 50-200. Some recommend the OM-D with 2 or 3 expensive m4/3 zooms and 3 primes as a way to save money and carry less weight. The OM-D costs $1300 with a grip. Add $160 for the m4/3 to 4/3 lens adapter. And 3 primes to match one 4/3 HG zoom is not a good way to save money and weight or simplify shooting. In Galapagos Island nature preserves you have to stay on the established foot paths so zooming with your feet is often not an option but zooming with the lens is. When I went to Galapagos I was shooting with the Olympus C-8080 and 28-140 mm lens. Besides AF speed, constant f4 is not the equal of 2.8-3.5 and the field of view is 90-375mm verses 100-400mm. The little extra speed of the Olympus lens helps it to mate very well with the 1.4x and 25mm extension tube. Does Pentax have weather sealed teleconverters like Olympus does that mate perfectly to the 60-250mm? I don't doubt that the Pentax lens is a good lens--glad to hear it. However, I also don't doubt which lens I'd prefer based upon these differences. And the Olympus lens is $600 less. That's no small point for most people. Go look at the comparometer at DPR and see for yourself as daddyo suggested. I just did. The OM-D is the equal or very close to equal at everything up to ISO6400. Above that RAW suffers in the OM-D just a little, but the Olympus JPG does better than Pentax at all ISOs imo. This shouldn't be surprising since they both use current Sony sensors. What is surprising is that the sensor size difference does not give the Pentax K5ii a clear IQ advantage. In other words, Olympus and Pentax have done very very good with this Sony sensor, but one doesn't wipe the floor with the other. In real life shooting, there would be no difference if we can't even see a clear advantage pixel peeping at 100%. Printing differences would be indistinguishable. However, the size and weight advantage of the OM-D is compelling for people who value that. For the JPG, I agree, Olympus rivals that of Fuji for JPG SOOC. But in real world shooting? I respectfully disagree. I was lucky enough to have played around with an OMD5 (Panny 20mm f1.7). I loved the build quality and the AF. But IQ wise, it feels just on par with my K-r and DA 40 Limited (I know the angle of view is different from one another). When I played around with a K5IIs and did an apples to apples comparison vs my Kr and both using my DA 70 Limited, the IQ and sharpness was in a different league. I can just imagine the wide gap with a K5IIs given their best glass (prime) at an equivalent angle of view compared with OMD5. This thread has skewed me in the direction of K-5 ii vs OMD as I don't really have much of an Oly lens investment and the K-5 means buying into older technology with the lack of Olympus support down the road looming. Granted I'm missing the great Oly lens lineup but the Pentax lineup is more than satisfactory. The main advantage of the OMD setup was weight/portability. On the other hand I saw the K-5 / 18-135 as a cost effective simple 1 lens solution for the upcoming trip with a clear upgrade path down the road. Also, the Pentax K30 was thrown into the mix as bargain alernative to the K-5 ii. My trip to the camera store went as such. I first asked to test the OMD-EM5. The salesman was very high on this camera & I was handed the 12-50 kit. I had no problem with the viewfinder, or handling, although I was aware I was looking trough an EVF. There may even be a little lag as I panned around the store. The build quality was great but I thought that the function dials were more for the classic look rather than functional. I took a bunch of shots at all focal lengths, may have failed to autofocus once, but was pleased. Then asked to see the K-5 ii - even though I pre-called , they didn't have one to show me - was at their other store. Then I saw the K30 kit on the shelf , an 18-55 I think, and asked to see it. But told them I really wanted the 18-135 kit. They had a loose 18-135 on the shelf and paired it up for me. I have to say the build quality of the 18-135 is at least on par with the Olympus HQ lenses. The build on the K30 is adequate but no E-1. The K30/18-135 felt perfect in my hands, all the buttons were in the right places and the grip was phenomenal - the ergonomics were superb. The viewfinder is large and bright and the first shutter release (maybe it was the sound) got my blood boiling. I was firing off shots rapidly in every direction and was amazed at the laser sharp images and instant AF lock-in at all focal lengths. The dealer was ready to bundle the K30 & 18-135 for $1099. This setup will provide some weight advantages and will make a nice sinlge lense walk-around. Can now afford wide angle lense to compliment the setup. The downside to the K30 is low battery life ( 410 shots ) as part of the battery compartment is dedicated to AA batteries. On the other hand the AA option could be a lifesaver on a trip to remote parts of the earth. Much thanks to everyone on your input. Just like its Canon and Nikon counterparts the Pentax' "Supersonic Dynamic" (SDM) takes advantage of ultrasonic waves to drive AF operations. The AF speed is relatively high although not substantially faster than a conventional screw-driven AF lens. If you listen hard you may notice a high frequency noise during operations but this is really not relevant in real world situations. Full time manual focusing, Pentax calls it "Quick Shift", is available in one-shot AF mode. As mentioned the Zuiko relies on Olympus' new SWD AF for focusing. Typical for such ultrasonic-driven motors the AF operations are virtually silent. Usually (although not always) there's also a AF speed advantage compared to conventional AF motors - this is certainly true compared to its predecessor. In absolute terms the AF is very good but not quite as fast as on the Zuiko 12-60mm and about comparable to competing products. Full time manual focusing in single AF mode is possible.